Fill in the form and we'll reply as soon as possible. For further information on booking and reservation call +39 0942 896609 or +39 3384529220 We'll answer from 9 am to 12 am and from 3 om to 8 pm. 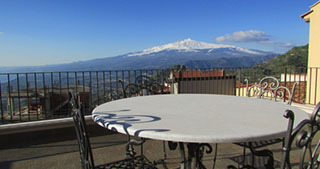 Al Borgo Medievale Guest House is located in the very heart of the little town of Castelmola. Its furniture is inspired by King Arthur legend and has 5 rooms with private bathroom, TV, air conditioning, and a terrace.